I bought this book on the day I found out I had been offered a studentship at the University of Exeter. I was in the streets of Glasgow, feeling both exhilarated and terrified, and I naturally wandered towards where I always go to look for guidance when feeling unsure: books. In this case, Waterstones. This book caught my eye, and after reading it for half an hour, I was feeling calmer and somewhat reassured, so brought it home with me. Having finished it, I was not disappointed. This is a very useful book if you’re just starting out your doctorate and you’re unsure about the process, what skills you will need, what exactly is expected of you, and what to expect of your university and your supervisors. 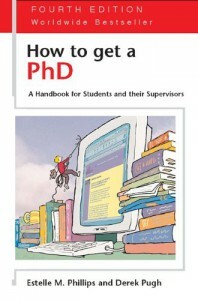 It covers topics from time management, to types of research, to practical advice on writing your thesis, and much more. It’s peppered throughout with tips and real-world examples from students and supervisors. If you’re a PhD student and anything like me, it helps to understand that no one has it all figured out, that feelings of excitement are likely to be followed by periods of panic or anxiety, that you are likely to question the interest and relevancy of your research quite regularly, and that writing is a much harder job than most people think. In short, it helps you feel more prepared. I can’t comment on its accuracy since I’m still very early on in the process, but I’ve found that knowing what (probably) lies ahead helps. On the downside, this is a very general book. There are considerable differences in doing a PhD in the Humanities or Social Sciences, and doing in it Science, Technology or Medicine, for example. The book mentions these differences, but doesn’t go into much detail about them, which means that some of the advice included probably won’t apply to your particular PhD. But it’s a good starting point for a more general view of the process, so I’d recommend it to those who, like me, are on their first year, and still feeling a little lost. 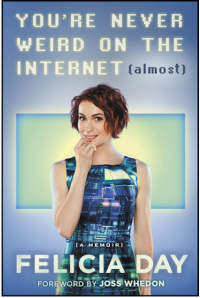 I enjoyed Felicia Day’s memoir immensely, but I’m going to start this review with a caveat. I usually feel suspicious when young people write memoirs. Don’t get me wrong, a lot of young people have led remarkable lives that are worth reading about. It’s just that I’ve long felt that memoirs should be like an artist’s retrospective: it’s better to wait rather than doing it too soon, for fear that you might be looking back too early. Like memoirs, retrospectives become a cristallized point in the artist’s or person’s life. That person will keep on living and creating, of course (well, hopefully), but it’s hard not to feel like it’s something that should be done at an advanced point in their careers / lives. Felicia is still quite young, and I’m pretty sure she will go on to keep doing great things. Nothing wrong with writing a memoir when you feel like it, but if you keep being successful, then eventually you’re going to write another one (it’s happened before). This is the one thing that made me not give this book five stars: the feeling that it ends too abruptly, like a work in progress. I have a feeling she will have a lot more to tell in a few years. That being said, this is an amazing book. One of the best memoirs I’ve ever read, in fact. I’ve been a fan of Felicia since the first season of The Guild, way back in 2007. At that time, I played World of Warcraft daily with my guild. Growing up, I never knew any other girls who played games - I only had female friends who were also gamers as an adult - so it was easy to feel like the odd one out. I was happy to finally find a series with people I could identify with. I also identified with Felicia’s character on a more personal level: the anxiety, social awkwardness, not having things figured out in life. I became a fan of the show and its creator, and have followed her work ever since. Felicia’s personality comes through in all of her videos, and that same personality is perfectly encapsulated within the pages of this book: funny, witty, neurotic, anxious, self-critical, at times dysfunctional, but always disarmingly honest. For me it was therapeutic to read about how hard it is to create something, how difficult life can be when we are our own worst enemy, and how perfectly wonderful and scary and exhilarating it is to be a geek and find the internet. I too remember that moment of acceptance, of finding one’s community. And I too remember when that exhilaration deflated in the face of toxicity. 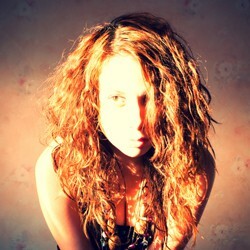 Felicia goes through several stages of her life, and it is true that her path has been unconventional. But the beauty of this book is that it’s not just about her - it’s about being a geek, but above all, about being human. And that is perhaps the best reason for me to recommend this. Definitely read this if you’re a fan, a geek, a gamer, a creator, or someone who has always felt like the odd one out. And if you haven’t watched The Guild, go watch it. You won’t be disappointed, and then you can come back and read this book. 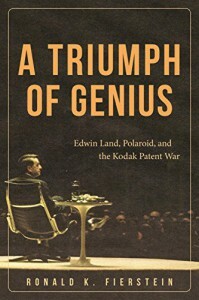 Written by Ronald Fierstein, who as a young lawyer was part of Polaroid’s team during the legendary trial, this book is the result of an extensive research and deep understanding of the life and work of Edwin Land, a remarkable individual and a visionaire in the true sense of the word. It was fascinating to read about the process of creation of the Polaroid technologies, especially so-called one-step photography. Apparently, Land was an inspiration to Steve Jobs, and it’s easy to see why. The parallels between Land’s career and way of conducting business and those of Steve Jobs are remarkable, and become more apparent as the book progresses. The description of the so-called patent wars is maybe a bit too detailed and exhaustive for laypeople, but I expect it will be of major interest for those who study law or who hope to enter the business world of technology. As someone who studied photography and is still fascinated by both the art and technology, I was interested in the technical descriptions, but the book lost me a bit during the meanders of law. Not always: it can be engrossing to try to understand the convoluted world of United States law, but the repetition of facts and the grinding process can get a bit tiring for the layman. Nevertheless, this book is a fascinating read for those interested in the history of photography, law, and entrepreneurship. Note: I got this book for review purposes through NetGalley. It hadn’t occurred to me until I read this book, but when I think about German film, it usually means thinking about films from the Western tradition of unified Germany. 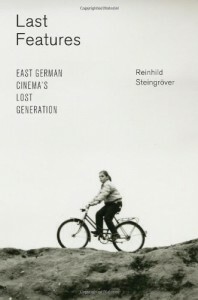 “Last Features" focuses on the films from the last generation of DEFA directors, the state-owned film studio in GDR, which challenge the dominating historical perspectives. This book is the result of remarkable research work by the author, but unfortunately, for me, that was not enough to keep me interested. It was interesting to read the individual films’ analysis, but other than that, the text seemed to be going around in circles, often repeating the same ideas, which lowered my interest considerably. So, unfortunately, not recommended, unless you have a specific research interest in the subject matter. 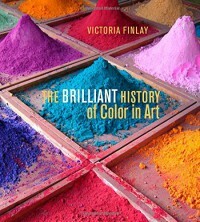 Having studied art history, I was somewhat familiar with the history of the use and symbology of color, but I knew little about the historical and social origins of each color. This book has contributed to filling that gap in my education. It is a history of colours organised around colours instead of following a chronological order, which contributes to the fleshing out of each color in a way that prevents them from “blending” into another (pun intended). Written with a younger audience in mind, this book would probably be at home in an art class for teens. It is informative, captivating and easy to read. It is also lavishly illustrated with works of art and supporting materials. The stories are presented in such a way that it read like the best History books: as a succession of fascinating stories about Human ingenuity. It will certainly influence the way I look at colours (in art and elsewhere) from now on. If you’re interested in the Internet and its workings, then this book is for you. Yes, it’s about Anonymous, but in a way it’s also about the place that the Internet was believed (and hoped) to be, as opposed to what it has become. The topic is important, and the author, Gabriella Coleman, goes deeper into the question than anyone else whose work I’ve read. Unfortunately, for me personally, the execution was a bit disappointing. The anthropologist’s personal storytelling style did not appeal to me. 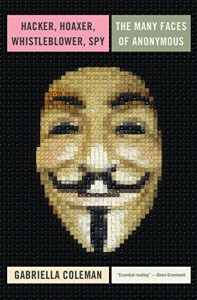 Of course, that is a personal preference, and like I said, the book’s subject matter is incredibly interesting and timely: studying the origins of Anonymous, their activities, how they relate to other online and offline groups, their political significance, and more. This book has a lot of information that I hadn’t come across elsewhere, and it is all neatly packed into a narrative that makes sense (well, mostly). Perhaps the biggest revelation, for me, was not about the Anonymous themselves, but as to the strategies their “opponents” use to try to neutralize them. By “them” I also mean activists, journalists, and others, and who’s to say who the next targets will be? It’s enough to make you want to turn all your electronics off and run for the hills. While the writing wasn’t always to my liking, I had a hard time putting this book down. Reality is indeed stranger than fiction, and it makes for engrossing reading. Recommended. It's not often that I have the opportunity to read such an eloquent first-person account into the life and mind of an artist as Morrissey's Autobiography. If you’re interested in truly understanding art, you have to try to understand the people who make it, and what it entails, the total commitment that we as a society demand of creative souls. I saw Morrissey live only once, during the sumer of 2006, at the Paredes de Coura festival in rural Portugal. It was a night of epic summer rain, and all of us were soaked to the bone, covered with water and mud. Morrissey stepped onstage and thanked us for being there despite the rain, and said that since we were so kind as to get soaked in order to see him, it was only fair that he would get soaked with us, which he did. He was kind, courteous and working to put on a good show - which it was, smashingly so - and far more humble than many of the other bands and singers in that festival, some of whom acted like they were too good for that stage. After reading his autobiography, it's easy to see some degree of self-centeredness, although that's hardly unusual for any artist (or even most human beings). But I fail to see the much-talked about arrogance, unless you confuse disillusioned honesty with arrogance, which people often do in this age of PR-controlled pop stars. The beginning of the book, covering his childhood and early teenage years, reads a bit like stream-of-consciousness (the first paragraph alone runs for several pages), but it works because of his sensitivity and aching nostalgia. 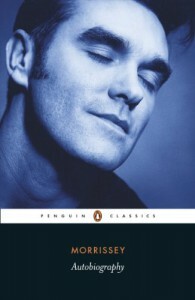 The book truly comes alive once Morrissey begins talking about music. I listened to the soundtrack while I was reading: The New York Dolls and other early inspirations, The Smiths’ entire discography, Morrissey’s solo work. With his writing I found nuances and depths in the songs that I hadn’t heard before. His exposition of the music industry, the media circus that comes with fame, are chilling in showing the cynical chewing of art and artists in order to make a profit at all costs. Money changes everything, and the world can be an ugly place. An extended, confusing, and touching glimpse into the mind of an artist. 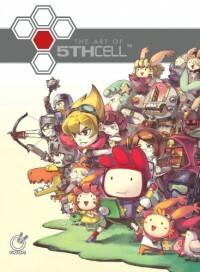 The Art of 5th Cell is a showcase for the company’s many unique games, including Scribblenauts, Lock’s Quest, and Drawn to Life, and the art that helps them come to life. This book felt too short: I would have liked to see more writing about the process. There are comments sprinkled throughout that act like glimpses, but I would have liked to know more about the creative process that goes into creating artwork that perfectly fits games. Still, this is a book with gorgeous illustrations and revealing works-in-progress, as well as concept art and promotional materials. I almost wish I had seen it in person before downloading the digital edition, because this certainly looks like a book that you want to physically hold in your hands to lose yourself in the details of the art. I was 13 when I first read The Lord of the Rings. Over the years I would re-read the entire series, as well as all other books on Middle-Earth that I could find. When I saw that they were making a movie based on The Fellowship of the Ring, I was ecstatic. I re-watched the entire trilogy many, many times. So, perhaps more than any other writer, J.R.R. Tolkien and his creations have been a constant companion in my life, helping shape me into the person I am today. 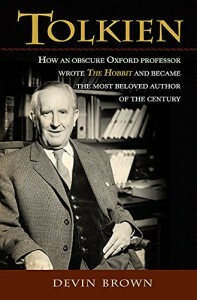 So I was happy to read this book, which is a short biography of Tolkien, following his life from his birth in South Africa, to the English countryside, to Oxford university and his love for languages (and how it nearly ruined his academic career before it even started), to the Inklings, religion, war, friendship and love, and how it all inspired the creation of Middle-Earth. This is a fascinating story of creation, and a good introduction to the life of one of the most inspirational and influential writers in the world. Death, Disability, and the Superhero is an academic book that looks at superheroes comics published by Marvel and DC, from their inception to around the 1980s and 90s. It examines comics' portrayal of the body, how it could be read against the ways death and disability were viewed in American society, and how that portrayal has evolved throughout the years. 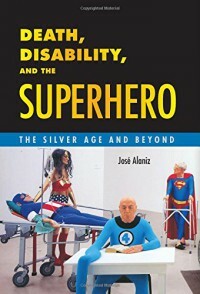 The author, José Alaniz, uses many case studies to illustrate this study, including Superman, Captain Marvel, Doom Patrol, She-Thing, and Daredevil, among others. As (sadly) I had never before read academic writing on disability, this book opened my eyes to entirely new ways of thinking and ideas. It’s too early to say I’ve formed an opinion on everything that’s written (and there are a lot of different ideas to ruminate on), but it definitely served to make me ponder new perspectives about physical and cognitive “otherness,” specifically as it is portrayed in comic books. I would have liked to see a discussion of more recent comics, since the discussion on disability only focused on those from the Golden and Silver Age of Marvel and DC comics, whereas the chapters on death referenced more recent developments. In fact, I was left feeling this could have been split into two different books: one about disability and the other about death, since the discussions did not overlap often (with the exception of the theme of assisted suicide). And the chapters do tend to feel a bit repetitive after a while. Nevertheless, this is a thought-provoking, well researched book that treats comics with the respect they deserve. Recommended for serious fans who are interested in a different, deeper reading of the material they love. 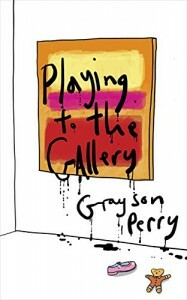 If you're interested in the (often bewildering) art world, I highly recommend this funny, charming, and insightful book by artist Grayson Perry. 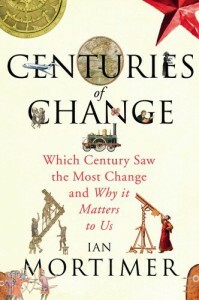 Centuries of Change looks at the previous ten centuries of Western history and asks: “Which century saw more change?”. The premise is intriguing and the book presents a complex, well-researched discussion of the evolution of Humanity’s way of life, and what is ultimately more important to us as members of a society, whether we realize it or not. The choice to focus on the Western world is explained by the author, historian Ian Mortimer, right at the beginning, and makes sense if we consider that the Western world was the principal agent of change at the time, but still, it would have been nice to hear a bit more about the perspective of those people elsewhere. Also, I found the author’s choices of the most defining changes, and the agents of such change, in each century, strange, but I guess that’s because they ultimately hinge on personal beliefs on priorities - and, to be fair, the author also acknowledges this. And I did ultimately see the logic in his conclusions (though I won’t spoil them here). His reasoning that diminishing resources will eventually result in most of the Western world turning into oligarchies is, unfortunately, quite sound, and in some cases, that future is already here. Still, this book is entertaining (though, ultimately, frightening) and it was interesting to discover a bit more about Western world history. It was fascinating to read about everyday life and the social, scientific, economical and political changes that brought us where we are today. My mother is a History teacher, so I’m perhaps in a privileged position when it comes to the discipline, and I was already familiar in general with a lot of the changes described in the book, but they're presented in such staggering detail that you can’t help but learn many new things, even if you’re a History buff. I can’t begin to imagine the amount of work that went into writing this book, which clearly demanded not only knowledge of History, but also of Geography, Sociology, Philosophy, Epidemiology… The list goes on. The final chapters were particularly gripping, and I found myself unable to put down the book. In the end, this is a thought-provoking book that will make you wonder about your own life and that of your ancestors, and ponder the fragility of Humanity’s way of life. Recommended. 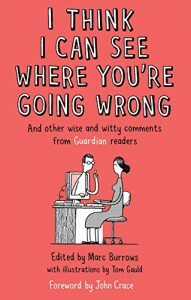 As someone who regularly reads the Guardian and always reads the comments section, I knew what to expect when I received this book. Guardianistas (as they’re called) are, in my opinion, some of the most fascinating commenters on the Internet. That doesn’t mean they always leave thoughtful and intelligent comments, but at the very least they are interesting. This is not only due to the commenters’ sarcasm and wit, but also to the team of moderators who help keep the place civil. The fun (and cringing) come from the fact that, as Marc Burrows, the editor (and moderator) says, every single one of these commenters “passionately believes the first rule of the internet: they are completely right, and everyone else is wrong." This book did not disappoint. There are some funny and memorable quotes on everything. I have to admit, though, that reading the quotes out of context is not nearly as funny as reading an article and then scrolling down to find baffling comments from every part of the spectrum of opinions. I would have preferred to see more quotes on each section. Nevertheless, this is a good book to give as a gift to a friend in need of a laugh. Written by Joel Simon, executive director of the Committee to Protect Journalists, this book explores the current state of journalism across the world. As information becomes increasingly important for business, politics, human rights, and conflict management, journalists (both traditional and a new breed of activist and citizen journalists) are under attack by governments, terrorists, and criminal organisations. 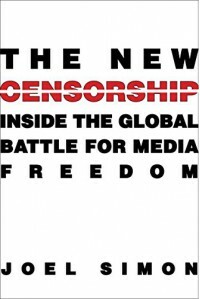 The author looks at the various forms that censorship can take (kidnapping, imprisonment, torture, blackmail, government pressure, unemployment, bribery, to name a few), and concludes that the global fight for freedom of expression is in the best interests of everyone, both journalists and citizens. Joel Simon discusses how new technological tools have blurred the line between journalists, activists, and witnesses; how China and other countries are attempting to control the Internet to make sure they do not lose control of information; how the US exploited its privileged position in regards to the Internet to build the largest surveillance program ever; how so-called Democratators claim to defend freedom and democracy while covertly manipulating the media under false pretences; and much more. This book is an important read because, unfortunately, most people have very little understanding of what being a journalist entails, and just want free-to-access news, with no errors or typos, right after things happen. It’s not uncommon to hear someone say, in reaction to the kidnapping or killing of a journalist covering a dangerous situation: “Well, he/she knew about the risks and chose to take them, it was his/her decision”. The treatment of journalists is often relegated to the background, and as a result everyone suffers. It was deeply moving to read the stories of incredibly brave men and women who gave their lives for social justice and human rights, choosing to risk everything to uncover the hidden, mostly ugly side of stories. Recommended for anyone who is interested in the news and global affairs. An illustrated guide to the movements and buzzwords of the post-World War II art world. All professional worlds have their own language and codes that seem impenetrable to outsiders, and the art world is no different. However, art is unique in that even those who consider themselves insiders seem to resent the opaqueness of words, denouncing the quizzical texts that can be found in exhibition press releases and catalogues as a pompous, non-sensical attempt to be “deep". This book is the perfect antidote to that. The truth is that a lot of the writing you find in the art world today is baffling, but that doesn’t mean that all the buzzwords are meaningless. Naming movements and concepts helps us make sense of the largely fluid and eclectic art world, and it gives us points of reference to attempt to construct art historical narratives. The problem is that a lot of today’s art is better understood when you are aware of those points of reference, which makes a lot of people feel inadequate when they visit a gallery. 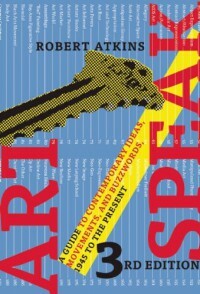 This book explains all the movements and buzzwords in plain English, detailing the origins, the artists, and the influence of styles, movements and ideas. As such, it is an excellent read both for beginner art enthusiasts and those on the inside who need a reference book (granted, a superficial one, but good as a starting point) to the major developments of modern and contemporary art. It was refreshing to see that this includes not only Western art movements, but also those from Brazil, China, Japan, and Australia, among other places. My only complaint is that , with a few exceptions, the Middle Eastern region is largely ignored, which is not entirely surprising, as this region’s artistic narratives have only recently begun to be explored by the mainstream, but it is something to keep in mind for the next edition of this book. A good book to offer to your non-artistic oriented friends, so that they will start coming with you to gallery and museum openings without feeling left out of the conversation. Note: I got this book for review purposes through NetGalley. This review has been cross-posted to my Curious Curator blog. Better known for his writings on photography and aesthetic theory - in particular, how technologies of reproduction influence the way we experience art - Walter Benjamin is less known for his contributions to radio, both as producer and essayist. 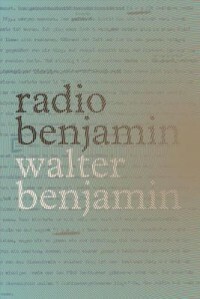 Radio Benjamin is the first book in English entirely dedicated to Benjamin’s radio works: plays, programs for children, lectures and readings, as well as works that were prepared but not broadcast. Most of the initial plays for children are about Berlin, in one way or another, with different themes, such as history, books, toys and language, surfacing in connection. Unfortunately, in my opinion, they are only interesting as historical curiosities. The book gets better when Benjamin muses about remediation on the radio. The essay Reflections on Radio was absorbing and insightful. However, the plays at the end are a bit drawn-out and, to be honest, much less interesting than their critical review in the introduction. I wouldn’t go so far as to say that this is a must read for any Benjamin aficionado, but I’m not sure how interesting these essays would be for everyone else. Benjamin himself referred to these works as “lesser”, more relevant for their commercial value than anything else. I would say that they have become relevant for their historical value and as context to the rest of Benjamin’s work. So if you have never read it, I would advise you to start somewhere else.